Modern scientific studies have indicated that active ingredients in the Seven Leaves Ginseng Tea can regulate blood pressure, lower cholesterol level and enhance uric acid excretion. The Seven Leaves Ginseng Tea contains over 80 types of saponins, 17 kinds of amino acids indispensable to human metabolism, vitamin B1, vitamin B2, vitamin C, vitamin E, polysaccharide, flavonoids and trace elements that are beneficial to human health. 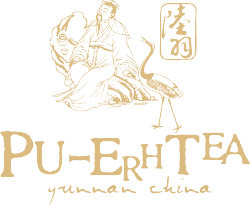 The herbal tea is made from choice Seven Leaves Ginseng growing in Yunnan towering mountains untouched by pollution. Thus it features a mellow flavor and does not contain any chemical additives. Does this 7 Leaves Ginseng Tea helps to reduce body fatigue due to lack of sleep and improve body strength ? Yes, I think it could help.